After monitoring digital trends in student technology and tools for some time, GradeGuru, a McGraw-Hill Education startup has worked out which tools are the most useful for students. They have also ascertained what types of online tools are most important to students and know exactly what needs to be covered in a definitive list of tools. So, with a bit of narrowing down, GradeGuru is happy to present to MakeUseOf readers a list of their top 10 student tools. This is a fantastic list of online student technology and tools covering all aspects of study, including chat, note-taking, helping your brain do its job and moving your furniture around. Not matter what your field or level of study, you’re bound to find something useful in this extremely well-chosen list. Skype is well known for being a great way to make voice calls. It’s free to call other Skype users (including conference calls), and the plans to enable calls to landlines are quite reasonable. Skype is also great for video calls – enabling people separated by distance to get a better sense of the people they’re talking to. Windows users can even beta test Skype’s group video chat with up to four users at a time. Now that’s got serious potential for group assignments! Google Docs are a great way to collaborate on documents, keep backups online and generally to keep things organised. I’d personally be recommending the whole Google Suite – don’t forget how many useful tools for students Google has: Google Books, Google Scholar, Gmail, Google Calendar, plus a number of other useful things. Last but not least, Google Search. Can you believe that you can now search for “Population of Japan” and Google will give you the latest figure at the top of the search results (along with the source)? Forget jetpacks – we already have a hive mind. The future is here. Twitter is great for bouncing ideas around with like-minded folks. It’s the ultimate crowd-sourcing tool and can also be used for basic surveys. On a more personal level, Twitter is a great way to keep in touch with fellow classmates and gradually get to know them a little, thus improving overall classroom cohesiveness. It can also be pretty distracting, so watch out! 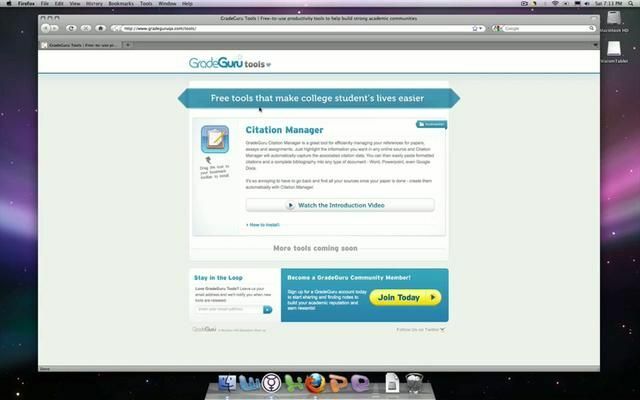 GradeGuru Citation Manager from The GradeGuru Team on Vimeo. Chegg is an American textbook rental company. A quick look at their pricing shows that most books can be rented for approximately 1/3 of the cost price. They also care about the environment and will plant a tree on your behalf every time you rent books with them. Sounds like a great way to go green and save money at the same time! Studyrails is primarily a student planner, offering very handy services for a small monthly fee. It allows students to plan their assignment scheduling in order to ensure all their assignments get done on time. 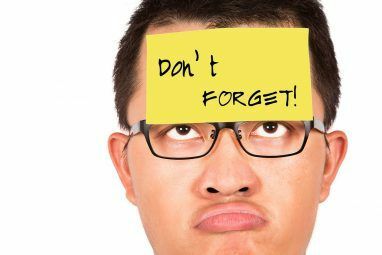 Users can send text messages of assignments to Studyrails and Studyrails will help to plan the workload and schedule reminders. You tell Studyrails all of your assignemnts, due dates and expected time to complete. Then you nominate which timeslots you have available to study and Studyrails re-works your schedule to ensure you’re working on the most important assignment. See the Studyrails demo. These reminders even go so far as to send a text message to you when it’s time to study. Studyrails even helps you avoid distractions by blocking access to certain websites when it’s time to study. Study Tracker is an iPad app designed by Grade Guru. It’s a brilliantly simple idea: Students enter their study time and their grades. This allows students to evaluate the time spent versus grade outcome and decide how their time is best allocated. Editor’s note: At the time of writing, this app hasn’t been launched. As soon as its on the iTunes Store, we’ll link to it. Mindmeister is a fantastic mind-mapping tool which allows you to work online, offline and in groups in real time. It’s even available as an iPhone app! The MindMeister interface is really easy to use and the end result looks great. So, it can be used by students both for the brainstorming 7 Awesome Idea Generators to Help Your Brainstorming 7 Awesome Idea Generators to Help Your Brainstorming Brainstorming new ideas for businesses, stories, plots, and creative projects is hard -- but these great idea generators can help. Read More and planning of projects or to present the final results. Quizlet is a really easy-to-use online flashcard tool. There’s plenty of pre-prepared flashcards for you to learn from or you can easily upload your own. They don’t just plod you through your flashcards either – try playing Scatter or Space Race for something a little different. Absolutely the best way to test yourself! Design Your Dorm is targetted at American students, making it very easy to set the room size according to American schools, shop for furniture from American stores, plan your room, collaborate with room-mates and even get those goods delivered directly to your school. But, even if you’re not in America, don’t let that stop you. This planning tool is very easy to use and the shop features things you might easily find locally. It’s a great way to design your room, both the layout and feel, and to keep it within your budget. I’d personally also add Netvibes How to Manage Your Life Completely Online Using Netvibes How to Manage Your Life Completely Online Using Netvibes Read More and Delicious How to Use Delicious to Organize Your Student Life How to Use Delicious to Organize Your Student Life Read More to this list, because my studies would have been far more difficult without them. Thanks again to GradeGuru (in particular Angela Santiago) for giving us this list of tools to share with you today. We hope it helps you with your studies. Feel free to share your thoughts on these great tools in the comments! Great list - will be really helpful when September comes around. Can't wait to try out the gradeguru citation manager. Looks like one of those apps you didn't know you needed till you start using it. Soshiku Pro has unlimited courses, assignments, attachments, and tasks, in addition to a few more goodies. Wow. Soshiku looks pretty good. Thanks! I handle following a lot of people via Twitter by using Firefox extensions to pop-up Tweets via Growl - Firestatus and Echofon are both pretty good and there's similar extensions for Windows users which don't rely on Growl. Anyway, I find it works because I don't have a set program to look at compulsively throughout the day. Updates just bubble up as I do my thing. Every now and then I check Twitter properly and read one of my lists. Yeah. Slideshare is great for presentations and for sharing what you know with a wide audience. Try following some of the big names in your industry: researchers, public speakers, authors, high profile bloggers etc. You'll find the quality of Tweets generally to be quite good. Also, Twitter will then surreptitiously keep you informed of news and questions in your field. Seriously, Twitter can be educational if you use it right. Hope these ideas help you! I think that twitter can be very useful source of informantion if you can handle it. By the way, you forgot Slideshare. Wow, Twitter? A useful student resource? Careful MUO, you're losing my confidence as a reputable resource for useful information. I have only found Twitter as entertainment for humor. It is funny to see how dumb people sound with only 140 characters to work with. Wow. Maybe you're following the wrong people? :)Try following some of the big names in your industry: researchers, public speakers, authors, high profile bloggers etc. You'll find the quality of Tweets generally to be quite good. Also, Twitter will then surreptitiously keep you informed of news and questions in your field. There are lots of Twitter accounts dedicated to teaching too. I've personally collected over 20 accounts which are used solely for the purpose of teaching French:http://twitter.com/smange/french-teachersSeriously, Twitter can be educational if you use it right. Hope these ideas help you! Glad to see MindMeister and Quizlet in that list. Both have been pretty useful during college and beyond. Same goes for Google Docs and bookmarking tools like Clipmarks, which I tend to use more often than others. I like Zotero, too. And Dropbox is just one of things you use without thinking. Skype, Google Docs, Twitter: All great. 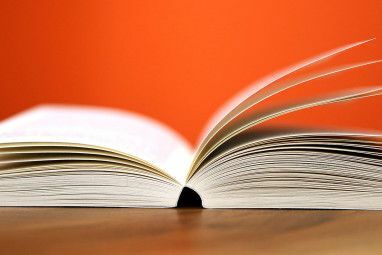 GradeGuru: Maybe, but usually prefer to bookmark the whole page with ReadItLater. Chegg: Looks good, but I'm from UK. MindMeister: If I ever need to do mind-mapping, sure. Very useful list for students like myself, thanks a lot!